Very interesting post Robb. 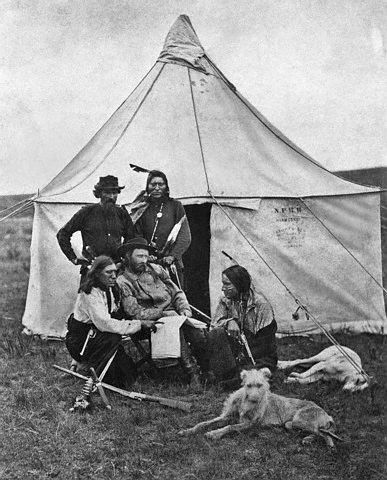 A pity there are no photos of Custer's massive pack of deerhounds either on the hunt or settled in for the night with the Custer's in their tent. Forty deerhounds. What a sight that would have been. Although after reading Bury My Heart at Wounded Knee by Dee Brown, I'm glad the Indians killed him..
Thats really interesting - and do we know if these 'deerhounds' are actually the same type as ours? ('Deerhounds'can come in quite different forms far back in history sometimes in my experience). Many thanks Rob for your interesting informations. I found a blog with pictures on this theme. Thanks Joerg, there's a photo there of some deerhoundy type dogs - fascinating, I had no idea there was a connection there! 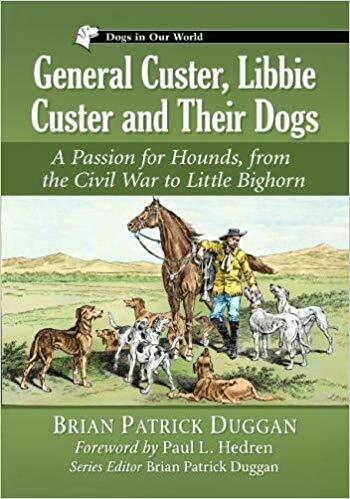 His favourite Tuck, in image, is wheaton in color"
One article states "But Custer would soon import others from the United Kingdom (UK), by some sources from a Lord Berkeley Paget in 1870, and perhaps also from the kennels of Queen Victoria."